As expected, last month's Furious 7 was a colossal hit at the box office, becoming the fastest movie to ever to reach $1 billion worldwide, doing so in just 17 days, with its global take now at just over $1.5 billion. It currently stands as the fourth-highest grossing movie of all time globally, just behind the $1.518 billion haul of 2012's Marvel's The Avengers. With all that behind said, it's no surprise that Fast & Furious 8 is currently moving forward, with Universal Pictures already setting an April 14, 2017 release date for the sequel. Earlier this week, Fast & Furious franchise star Vin Diesel celebrated #TorettoTuesday by releasing a teaser poster for Fast & Furious 8 on his official Instagram page. The poster reveals an early logo set against the backdrop of a New York City skyline, which backs up the actor's own revelation in March that the sequel will be set in the Big Apple. The actor also said in March that Furious 7 starts a brand new trilogy, and teased that Fast & Furious 8 will also give fans more insight into Kurt Russell's Mr. Nobody, who was introduced in Furious 7. Vin Diesel will certainly be back as Dominic Toretto, with Dwayne Johnson also recently confirming that his Hobbs character is returning. There have also been rumors that the sequel may bring back 2 Fast 2 Furious star Eva Mendes as U.S. Customs agent Monica Fuentes, but that has yet to be confirmed. 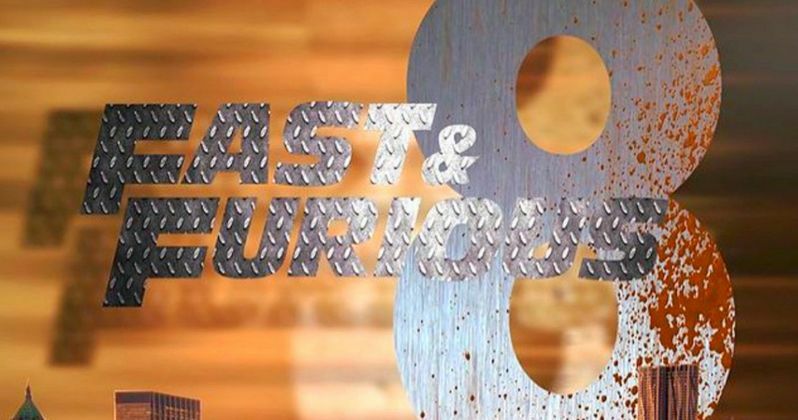 There currently isn't a director or screenwriter attached for Fast & Furious 8, and it seems unlikely that Furious 7 director James Wan will be back, since he is prepping to shoot The Conjuring 2 this fall for a summer 2016 release, and he is also attached to direct Robotech. Chris Morgan wrote the screenplays for the last five Fast & Furious movies, but it is unknown if he'll be available to write this follow-up since he is shepherding Universal's monster movie universe with Alex Kurtzman. While we wait for more answers about who will be in front of and behind the cameras for Fast & Furious 8, check out the early poster below.